Dear Internet: Where Should I Live? Since graduating from college, I’ve moved more times than I care to admit, always searching for that elusive, spacious, rent-controlled apartment. At times, I’ve sacrificed space just to live in a decent neighborhood with access to public transit. The question of where to live can be tough to answer, whether you’re looking for better bike lanes, quality schools, fine dining or just any place where you can land a job. Fortunately, there are Web sites that offer more contextual information about neighborhoods than you might find in a real estate listing or a Craigslist ad. 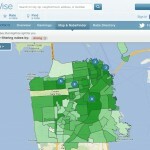 Over the past week, I’ve been researching metropolitan areas using WalkScore, Upwardly Mobile and NabeWise. All three sites are free to use, and are meant to help you determine where you should live, based on different — and sometimes overlapping — criteria. WalkScore, which has its own site but also provides data for thousands of real estate sites, focuses on “walkability,” or proximity to amenities. This five-year-old service has amassed a ton of information on locations in the U.S. and abroad, but some of the information is outdated. Upwardly Mobile aggregates government data to offer suggestions on where to live, based on average salaries and cost of living. 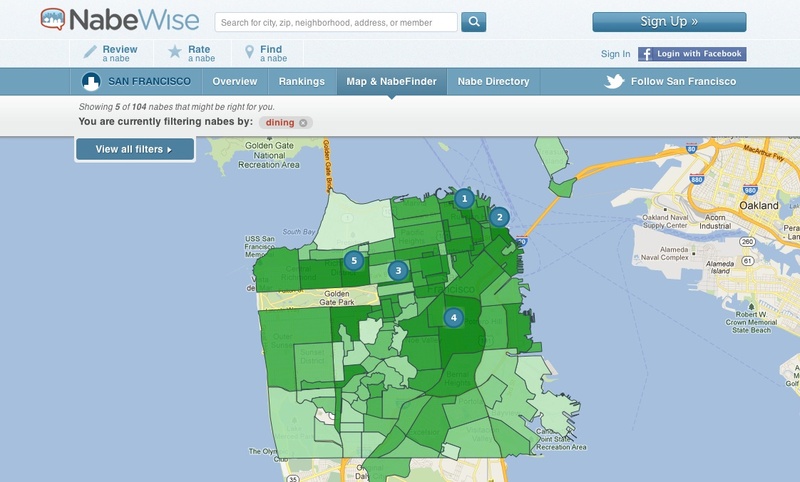 NabeWise tries to provide a little more color, blending neighborhood ratings with Yelp-like personal reviews, but it currently only covers some 25 markets in the U.S.
None of these sites factor in crime data. So a neighborhood could potentially be a little dicey, but still get a decent Walk Score or a thumbs-up from a local reviewer who considers an area to be up-and-coming. 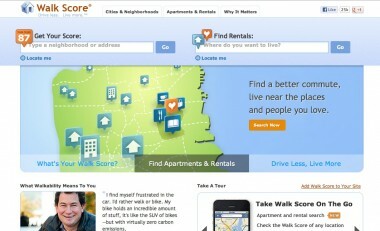 I started by testing the WalkScore site. 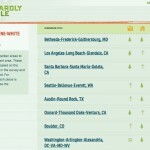 First, I entered my own ZIP code to determine my neighborhood’s Walk Score: 95 out of 100. It was deemed a “Walker’s Paradise” by the site, and a “Transit Paradise” in the transit section of the page, which listed all subway and bus lines next to a giant Google map. 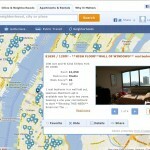 WalkScore also shows apartment rental listings, indicating an average rental price. WalkScore gathers this data from such Web sites as Craigslist, ForRent.com and MyNewPlace.com. Most of the rental listings I looked at eventually lead me to Craigslist. I liked the ability to narrow my WalkScore search, which literally shrinks the rental map, by indicating how long I wanted my commute to be. For example, when I researched San Francisco — the second most walkable large city in the U.S. — it found a cluster of apartments that were a 15-minute bike ride away from our AllThingsD office. WalkScore also just launched a free iOS app, which has a nice, intuitive design and is a little less cluttered than the Web site. But WalkScore wasn’t perfect. I’d heard from other users that some of the site’s information is outdated or inaccurate, and I found that to be true. WalkScore listed a now-closed Barnes & Noble bookstore as an amenity near me. It also listed Conde Nast’s corporate offices as a bookstore, and the Six Flags corporate offices as “local entertainment.” WalkScore says it has just 10 employees working on the site, so the site can be slow to update. Upwardly Mobile, created by the nonprofit Sunlight Foundation, is meant to provide recent college grads and job-seekers with an economic snapshot of metropolitan areas, to get a better understanding of job markets and the cost of living in those areas. The “mobile” in this Web site’s name isn’t meant literally: It doesn’t offer any data on a city’s walkability. The app launched this past spring, but some of the data within the app, specifically the data from the Bureau of Labor Statistics, is from 2010. Upwardly Mobile starts out with a quick survey asking for your ZIP code, your occupation, and what’s important to you: Salary, cost of childcare, gas prices, food prices, housing prices or all of the above. 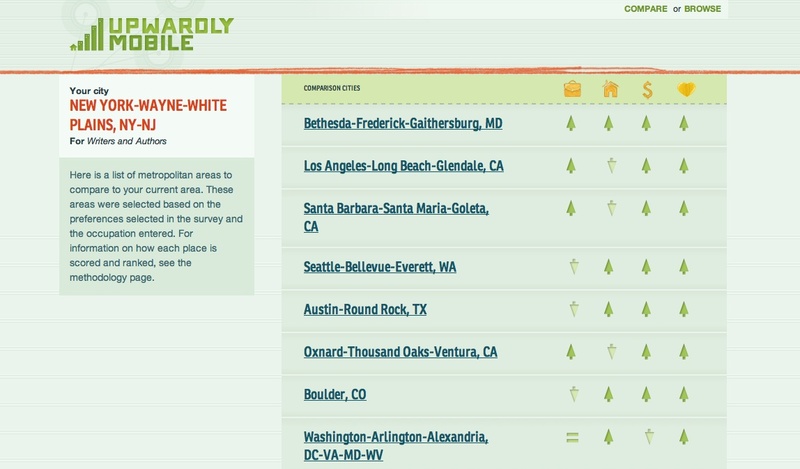 Then it drums up a list of cities that compare to your current area of residence. After taking the survey, Bethesda, Los Angeles and Seattle came up in my Top 5. From there, I could further expand the results, to see the average salary of writers in that area, the average cost of food, child care, medical services and recreational activities. It was interesting to parse through the economic data, though I didn’t really get a feel for the soul of a city by using this site. Upwardly Mobile doesn’t have any mobile apps, though it does have a mobile-friendly HTML5 Web site. 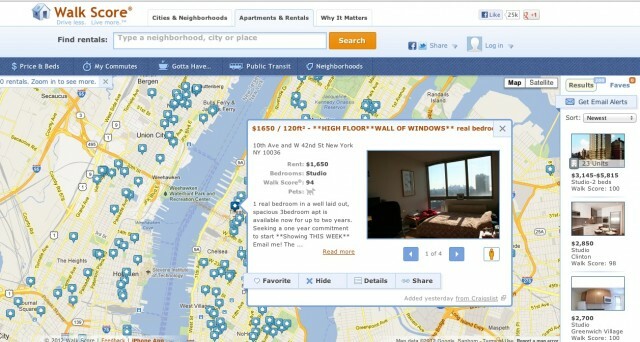 NabeWise (“nabe” is short for neighborhood) launched in early 2010. It’s a pretty comprehensive, Yelp-like Web site for neighborhoods, featuring reviews, ratings and even Foursquare check-ins to local venues. NabeWise’s search results come from a mix of data from research firm Onboard Informatics, as well as user-generated content. 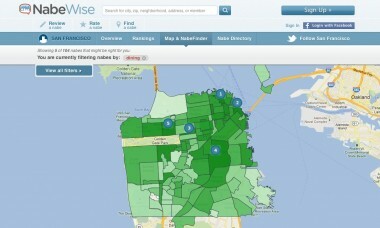 When I searched for neighborhoods based on dining in San Francisco, NabeWise showed me a color-coded map of the city, with North Beach ranking No. 1. From there, I could navigate to an entire page on the North Beach neighborhood, which NabeWise told me was great for dining, singles and public transit, but not ideal for families, senior citizens and people looking for parking. Parents will appreciate the in-depth school charts NabeWise offers. And I really liked the personal reviews contributed by NabeWise users. One woman described Hayes Valley as an area that used to be “the bowels of cracktown” from which “a flower has grown and blossomed over the entire nabe.” In the reviews for the Upper West Side of Manhattan, residents debated whether the yuppie crowd has killed the spirit of the old neighborhood. One thing that surprised me about NabeWise is that it doesn’t offer healthy living, like walkability or access to bike trails, as criteria. 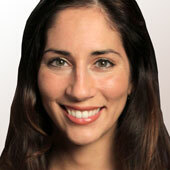 NabeWise says those looking for healthy living should evaluate how many parks are in an area. 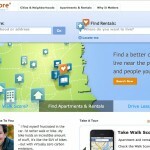 Also, NabeWise currently doesn’t have mobile apps, though the company says they’re in the works. If income data and cost of living are your primary concerns, you’ll likely want to check Upwardly Mobile. For a good idea of where the hipsters live, where the families dwell and where the schools are, NabeWise offers a good mix of rankings and real-people reviews. If being able to walk everywhere is your thing, WalkScore’s the site to see, but verify the listings before heading out the door.